When it comes to sports betting, no sport has greater popularity across the world than soccer does. And when we speak about soccer in particular, then the English Premier League is certainly one of the most prestigious competitions, with a massive fan base in each place on earth. Consequently, we from Spooky Express will provide our readers with daily EPL matchup, free picks on most games played during the week and various soccer tips on a weekly basis. 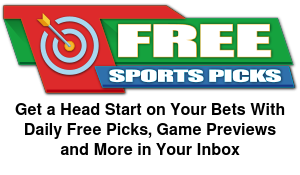 The Spooky Express makes it very easy to get your free picks in the EPL and also keep our readers updated with bonuses offered from our recommended online sportsbooks. There are various different sportsbooks that we recommend to our clients and readers and each one has their own unique features. After a memorable FIFA World Cup edition in Russia, which Spooky Express brought to your attention, soccer fans worldwide are now hyped up days before the official kick-off of the 2018-19 English Premier League season. Despite some disputes which is the best and most competitive soccer league, the English Premier League is unquestionably the most entertaining one, generating over €2.4 billion per year in domestic and international television rights. Moreover, the English Premier League is the most-watched sports league across the globe, broadcasted in more than 200 territories to 643 million homes and a potential TV audience of 4.7 billion people. In terms of quality and spectacularity, the Premier League ranks third in the UEFA coefficients of leagues based on performances in European club soccer competitions over the past five seasons, as of July 2018. Also, the average attendance in the EPL exceeded 38,000 spectators per game, which is the second highest of any professional soccer league behind the German Bundesliga's 44,646. The Premier League is the top level of the English soccer league system. The competition was initially formed by 22 clubs but their number was reduced to 20 in 1995. Contested by 20 clubs, it operates on a system of promotion and relegation with the English Football League (EFL). The EPL is a corporation in which the member clubs act as shareholders. Seasons normally run from August to May with each team playing 38 matches (playing each other home and away). Most games are played on Saturday and Sunday afternoons (local time), but there are also matches on Friday and Monday nights, as well as midweek rounds. The competition was established as the FA Premier League on 20 February 1992, following the decision of clubs in the Football League First Division to break away from the Football League (founded in 1888) and take advantage of a profitable TV rights deal. Exclusive television coverage of all matches was bought by Sky Sports and the clubs reaped the benefits of massive TV and marketing investment. As a result, soccer in England grew wealthier and more popular than ever before, with clubs spending tens of millions of pounds, nowadays even hundreds, on players and on their wages. As for instance, all Premier League clubs paid out £217 million in wages to injured players in the 2017-18 season. All this was a major step forward for the modern development of European football (soccer) and perhaps the reason why the EPL became the most followed league worldwide. Forty-nine (49) clubs have competed since the inception of the English Premier League twenty six-years ago. Six of them have won the title: Manchester United (13), Chelsea (5), Manchester City (3), Arsenal (3), Leicester City (1), and Blackburn Rovers (1). The 2018-19 English Premier League season will start on 10 August 2018 and is scheduled to finish on 12 May 2019. Twenty (20) teams will compete in the league – the top seventeen (17) teams from the previous season, and three teams promoted from the EFL Championship. Manchester City is the reigning champion, while Wolverhampton Wanderers, Cardiff City, and Fulham joined as the promoted clubs from the 2017-18 EFL Championship. They replaced West Bromwich Albion, Swansea City and Stoke City who were relegated after the 2017-18 Premier League campaign. 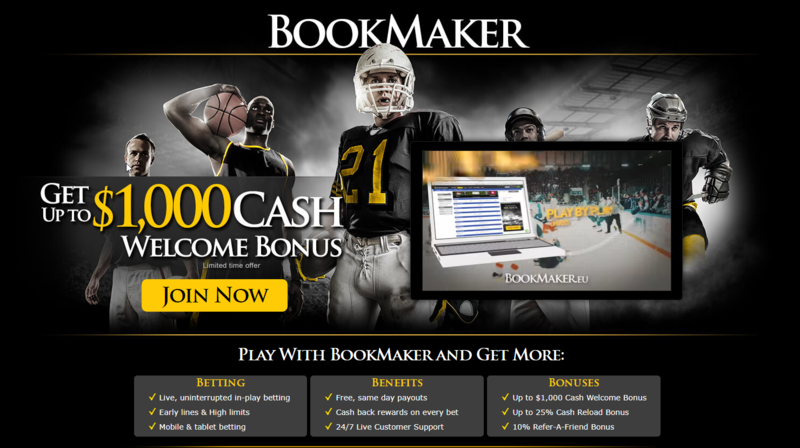 Claim your free $25 no deposit wager when you open your BookMaker Account using the button below. Pep Guardiola's Manchester City carries a heavy burden on its shoulders as the Sky Blues will try to retain the English Premier League trophy for the first time in their history. Man City won the top flight of the English soccer hierarchy for the fifth time, doing it in an absolutely convincing manner, and the Citizens are once again main favorites of the bookies to win the 2018-19 Premier League. Pep Guardiola kept all key players from the triumphant 2017-18 campaign, adding more attacking quality with the incoming transfer of a proven EPL figure as Riyad Mahrez, and we do believe that Manchester City are favorites for a reason. The 2-0 win over Chelsea for the 2018 FA Community Shield trophy last weekend was another evidence for their brilliance. However, their Champions League dream can distract them from the domestic campaign in some parts of the season, but Guardiola has tons of talent within his squad. Liverpool finished fourth in the league and reached the UEFA Champions League final last season, but that is only a step into the right direction. During the long and exhausting campaign not only in England, including the Premier League and the two domestic cups but in Europe as well, it was pretty obvious that Jurgen Klopp lacks squad depth. The 2018 Champions League runners-up were one of the active teams on the summer transfer market and Jurgen Klopp admittedly strengthened the club to a level which made them one of the main title contenders according to the bookmakers. Could this finally be their year? Manchester United still struggles to find its optimal shape after the glorious Sir Alex Ferguson era. Although The Red Devils won both the League Cup and the UEFA Europa League in 2017, Jose Mourinho is one of the favorites to be sacked before the end of the 2018-19 season according to various bookmakers. The eccentric Portuguese boss of the most successful Premier League side has been unusually passive with his transfer activity this summer and he's rather complaining than acting to improve his squad. Brazilian international Fred will surely contribute for the greater competition in midfield, but the likes of veteran goalkeeper Lee Grant and youngster Diogo Dalot are far from being those who will restore Manchester United's superiority here. It is yet to be seen whether Mourinho will take an appropriate action to strengthen his attacking options. Even if he fails to add more attackers, Manchester United is a team that should always be considered among the favorites to win the league. Chelsea may have lost the 2018 FA Community Shield match to Manchester City but we shall point out that their new manager Maurizio Sarri couldn't use some key players like Thibaut Courtois, N'Golo Kante and Eden Hazard, while Willian featured in closing part of that game. There are transfer speculations suggesting that Courtois and Hazard may both leave “Stamford Bridge” to join Real Madrid, and Willian is also subject of interest by several major clubs, including Premier League rivals Manchester United. Yet, The Blues are reluctant to sell their best men and the former Napoli coach Sarri will need them to carry over his attacking mentality to the English Premier League. Albeit his team won the FA Cup only a couple of months ago, an ambitious personality like Chelsea's owner Roman Abramovich wasn't particularly pleased by the fact that his team finished fifth in the league and thereby failed to qualify for the Champions League. Maurizio Sarri will have a serious challenge in his first appointment outside Italy as he will have to make Chelsea great again. If we say that Jose Mourinho is passive for his modest transfer activity, then what could we say about the Tottenham Hotspur boss Mauricio Pochettino who is yet to make his first signing this summer? Indeed, Spurs are the only Premier League team that hasn't made an incoming transfer during this transfer window, as of 6 August. On the other hand, Mauricio Pochettino has kept the core of his team and the Argentinian will hope for another prolific year of his ace Harry Kane, who has scored over 20 goals in the last four EPL seasons, and 25 or more in the last three. Furthermore, the North London outfit will be moving to its new home this year. The Tottenham Hotspur Stadium is scheduled to open with a ceremony before the match between Tottenham and Liverpool on 15 September 2018. This is an additional reason why Spurs will give their best to win a trophy for the first time since 2008, when they've won the League Cup. Unai Emery is the chosen one to replace Arsene Wenger at the Arsenal helm. The Frenchman was the longest-serving and most successful manager in the history of the North London club but the end of his tenure wasn't that successful as Arsenal finished sixth and the Gunners were drop out of top four for the second consecutive season. Now the 46-year-old Spaniard who gained experience in clubs like Valencia, Spartak Moscow, Sevilla and Paris Saint-Germain is set for his first appointment in England and Arsenal already showed some good results in the pre-season, including a 5-1 victory over Emery's former club PSG. However, Arsenal will face two of the other top-six sides in the opening two Premier League rounds, kicking-off against Manchester City at its own “Emirates Stadium” and then travelling away to meet Chelsea at the “Stamford Bridge”. This will be a good test for Arsenal's championship ability right from the outset. Top 4 Entry +3300 – Wolverhampton Wanderers have won the EFL Championship last season and thus they will play in the Premier League for the first time since 2012. The Wolves are managed by Nuno Espírito Santo who transformed their style and now there are more Portuguese players in the West Midlands club than in the champions of Portugal – FC Porto. Younger players like Ruben Neves, Helder Costa, Diogo Jota and Ivan Cavaleiro all had their impact for the promotion, while the summer transfers of experienced individualities like goalkeeper Rui Patricio and midfielder Joao Moutinho will admittedly contribute for the overall experience and squad depth. It's really interesting why the bookies are giving better chances of Wolverhampton, as a newly promoted side, for a potential top 4 entry than of some other clubs. Perhaps their team chemistry is the main reason. Top 4 Entry +1750 – Everton finished 8th in the 2017-18 Premier League season, five points behind 7th placed Burnley, and won't participate in a UEFA competition this year. The Blues from Liverpool will focus entirely over their domestic campaign and will seek improvement under Marco Silva's management. The Toffees were really inconsistent last season and they even found themselves in the relegation zone (18th) after 10 rounds. The 41-year-old Portuguese Marco Silva already led the teams of Hull City and Watford in England, but Everton should be his greatest challenge so far. Top 4 Entry +4500 – Leicester City finished 9th last season and that is an acceptable positioning considering the fact that the club from Leicestershire was 18th after the opening 8 Premier League rounds. Claude Puel remains in charge of The Foxes for now but it will be really interesting to see how he will handle without Algerian winger Riyad Mahrez (12 goals and 10 assists last season) who recently joined Manchester City. Nevertheless, Leicester City received £60m for Mahrez and they still have some excellent players in the squad. The 2015-16 champions should not be underestimated and there are some great odds backing them to repeat their unforgettable feat. Top 4 Entry +3500 – We can easily conclude that West Ham underperformed last season, finishing 13th, but the summer activity of the East London club clearly shows their intention to climb up in the Premier League standings this year. Experienced Chilean Manuel Pellegrini was appointed as the new manager of The Hammers and the former Man City boss will be the one who must bring stability in the squad. It's true that West Ham lost its home shape after moving to the “London Stadium” two years ago, but their supporters surely wish to see more from their performances as in the 2015-16 season when West Ham finished 7th, remaining four points behind top 4. Being one of the top 8 sides in each of the previous four campaigns, Southampton was on verge of relegation to the EFL Championship last season but eventually retained its Premier League status. Nevertheless, the club from South East England won't be pleased with the 17th position and The Saints will be keen to return in the top half of the English Premier League table. Mark Hughes was appointed as the Southampton manager in March for the remainder of the 2017-18 season and his contract was extended after that. Southampton has some excellent players in its lines but Hughes must use the last days of the summer transfer window to reinforce the squad if he really wants to avoid a similar scenario in the new year. Newcastle was right above the relegation zone last Christmas and during the Boxing Day round, but at the end of the season The Magpies were 10th in the Premier League standings which was quite an acceptable finish for a newly promoted team. Now a club with certain traditions in English soccer as Newcastle United surely wants to build on and Rafa Benitez already expressed his hopes to add more players to his squad before Thursday's transfer deadline. The club from North East England was relatively stable in defense but needs to improve its attack if it wants to be a real contender for something more than a top half finish. Crystal Palace managed to establish itself as one of the regular Premier League members after returning to the English elite in the 2013-14 season. A good reason to believe that the club from south east London already dreams for something bigger and The Glaziers look ready to take the next step. They've lost one of their best players from the past campaign, Ruben Loftus-Cheek, who was on loan from Chelsea anyway, but the arrival of midfielders like Cheikhou Kouyate and Max Meyer is definitely a positive sign for their ambitions. If Crystal Palace somehow succeeds to keep Ivorian winger Wilfried Zaha in its lines, despite the interest by some major clubs, they have a realistic chance to build on from the 11th position achieved last season. Last year was an absolute success for Burnley. The Clarets have recorded their highest league finish since 1974 – securing 7th position. Thus the squad managed by Sean Dyche qualified for a competitive European competition (UEFA Europa League) for the first time in 51 years. Moreover, Sean Dyche himself and central defender James Tarkowski were among the nominees for the Premier League Manager of the Season and Premier League Player of the Season awards. The remarkable 2017-18 campaign has also helped them secure lucrative sponsorship from international companies. However, Burnley is not very active on the transfer market so far and we do believe Sean Dyche must make some signings if he wants to see his side fully competitive in all competitions. The Cherries have made their debut in England's top flight three years ago and they have been doing well ever since. Perhaps their first Premier League campaign (2015-16) came with more difficulties, but they have settled themselves as one if the mid-table teams in the following two, finishing 12th last season and having the same amount of points as 10th-placed Newcastle. But that was not their best finish – Bournemouth was 9th in the 2016-17 season and club's boss Eddie Howe has proven himself as one of the most promising managers in England. Latest reports suggest that Bournemouth has had a club record £25m bid for Colombia national team midfielder Jefferson Lerma accepted by Spanish Levante. The fee for the Colombian would eclipse the £20m Bournemouth paid Chelsea for Dutch defender Nathan Ake last summer. Watford returned to the English Premier League in the 2015–16 season and rarely find themselves in the relegation zone ever since. Anyway, The Hornets always finish in second half of the table although they surely have hopes to improve that record someday, but the league looks extremely competitive nowadays and they need to show consistency for a longer period. Meanwhile, Watford sold one of its best performers from the past campaign – Richarlison, who joined Everton for a fee starting at £35 million and potentially rising to £50 million. Manager Javi Gracia will try to compensate his absence with a permanent transfer of the former player of Everton, Sevilla, AC Milan and Barcelona – Gerard Deulofeu, who was previously on loan at the “Vicarage Road”. All in all, we don't think that Watford holds enough potential for a top half finish and the Hertfordshire club would be pleased to avoid taking part in the relegation battle. Brighton returned to the English top flight after 34 years of waiting and finished 15th in the 2017-18 Premier League season. Also, Chris Hughton, who is in charge of the East Sussex club since 31 December 2014, became the first black manager to win the Premier League Manager of the Month award for February 2018. Brighton won 40 points out of 38 games last year (9 wins, 13 draws and 16 defeats) and accomplished some notable results as the home wins over Arsenal (2-1) and Manchester United (1-0). In fact, Brighton won 29 (7-8-4) out of its 40 points at home and The Seagulls have lost only four of their 19 games at the “Amex Stadium”. On the other hand, Brighton was the weakest away team in the 2017-18 Premier League campaign, winning just 11 points (2-5-12) on the road. They'll have to work on this aspect of their game if they want to enjoy a smooth stay in the upcoming 2018-19 season. For this purpose, Chris Hughton was one of the busiest Premier League managers this summer. Fulham became widely popular for its consistency after joining the Premier League in 2001 and being a regular member until its relegation after the 2013-14 season. Now, after four tough years in the second tier of the English soccer system, Fulham is back in the EPL after finishing third and then winning the Championship play-offs. The Cottagers have shown gradual progress under the leadership of Serbian manager Slavisa Jokanovic who joined the club in December 2015. Thus the oldest-established soccer team from London to have played in the Premier League will have a wonderful opportunity to celebrate its 140th anniversary in the English elite. Their transfer activity indicates that Slavisa Jokanovic has a clear intention to build a battle worthy squad at the “Craven Cottage”. Huddersfield Town are one of the main favorites to relegate according to the bookies, although the West Yorkshire club retained its Premier League status after finishing in 16th place last season. David Wagner's men were four points clear of the relegation zone, winning 37 points in 38 rounds. However, The Terriers can't boast a particularly impressive attacking record as they had the joint worst goalscoring record alongside already relegated Swansea (both have scored 28 only). David Wagner realizes how important it is to improve his attacking options but the German-American manager of Huddersfield Town needs to tighten up his defense as well. Huddersfield Town conceded more goals (58) than two of the relegated teams last year – WBA and Swansea (both 56). The arrival of the 2014 FIFA World Cup champion Erik Durm is admittedly one of the most intriguing transfers made by the club from Huddersfield. Cardiff City is the only non-English team to participate in the 2018-19 English Premier League season. The club from Cardiff, the capital of Wales, returns to the EPL after a four-year spell in the Championship. The Bluebirds are led by manager Neil Warnock who took the helm in October 2016 and following Cardiff City's recent promotion, the 69-year-old Englishman became the first manager to win eight promotions in the professional soccer leagues. Now Warnock will have a difficult task to establish his team in the Premier League for more than a year and it's no secret that Cardiff is considered the biggest relegation contender amid all listed squads. The 25-year-old Tottenham Hotspur striker will begin the new Premier League campaign with the Golden Boot award in his showcase. Harry Kane not only captained England at the 2018 FIFA World Cup, but he was the top goalscorer in Russia with the 6 goals he scored, becoming only the second English player to do so, after Gary Lineker in 1986. Harry Kane turned into a regular starter for Spurs in the 2014–15 season, when he netted 21 league goals “only”. Thereafter, he finished top scorer of both the 2015-16 and the 2016-17 Premier League seasons, scoring 25 and 29 goals respectively. The amount of goals Kane scores is increasing with every next year as he scored 30 goals in 37 league starts last term, although he remained runner-up in the top scorer's list. Consequently, Harry Kane is our and also the main favorite of the bookies to become top scorer in the upcoming 2018-19 Premier League season. The Egyptian King, as the Liverpool supporters proudly chant, failed to leave a serious mark at the 2018 FIFA World Cup in Russia, yet he scored twice for Egypt in the group stage. On the other hand, Mohamed Salah has enjoyed a remarkable 2017-18 season with his club as the Liverpool number 11 broke various records, registering a record 32 goals in 36 Premier League rounds. Salah also became the first player to win three Premier League Player of the Month awards in the same season. His record-breaking performances (44 goals in 52 games) saw him receive a number of other accolades at the end of the past campaign, including the Football Writers' Player of the Year, PFA Fans' Player of the Year awards, and the PFA Players' Player of the Year. Last but not least, Mo Salah was also named in the 2017-18 PFA Team of the Year. There are some juicy odds if you believe that Salah can once again become the English Premier League top goalscorer. Pierre-Emerick Aubameyang joined Arsenal from Borussia Dortmund for a club record fee (reported to be around £56 million) in end of January. The Gabonese forward already scored 10 goals in 13 Premier League appearances and he'll surely play an important role in Unai Emery's game plan this year. Moreover, Aubameyang was already crowned as the German Bundesliga top goalscorer in the 2016-17 season with 31 goals in 32 games and the 29-year-old forward is eager to shine in the most popular domestic league. Despite his 25 years, Romelu Lukaku is already the all-time record goalscorer of Belgium with 40 goals in 75 international caps. The Manchester United striker finished as the joint second-highest goalscorer (next to several other players like: Cristiano Ronaldo, Kylian Mbappe, Antoine Griezmann and Denis Cheryshev) at the 2018 FIFA World Cup, where Belgium won the bronze medals. On the club level, Lukaku is one of only five players to have scored 50 Premier League goals before their 23rd birthday, as well as the fifth youngest to have scored 100 goals in the competition. With 16 goals in 34 Premier League appearances last season, Lukaku failed to meet the huge expectations on him after Manchester United paid £75 million, plus £15 million in add-ons, to his former club Everton last summer. However, the Manchester United number 9 should be more effective in his second season at “Old Trafford”. Sergio Aguero is one of the usual suspects when we look at the potential goalscorers in the English Premier League. The Argentine forward, who joined Manchester City in July 2011, already became the club all-time highest goalscorer with a total of 201 goals. Furthermore, Aguero is the highest non-European scorer in the history of the Premier League, with over 100 goals – 143, and he needs just three more to level Teddy Sheringham and thus he would enter in the top 10 of all-time goalscorers. Nevertheless, the Manchester City forward has a higher score ratio (0.69 goals per game – 143 goals in 206 appearances) than all top 10 players, where we find the names of Alan Shearer, Andy Cole, Wayne Rooney, Theirry Henry, Frank Lampard, and other EPL legends. Aguero already warmed up for the new season with the brace he scored in the 2018 FA Community Shield 2-0 victory over Chelsea. He has scored 20 or more goals in five of his overall seven Premier League seasons, including each of the last four, and picking Aguero as a potential goalscorer for the new Premier League year seems to be a wise choice. Especially with these great odds on the Argentine predator, well-known for his lethal touch. Alvaro Morata had a devastating first season after joining Chelsea last summer, which saw the Spaniard being left out of his country's World Cup squad. Morata scored just 11 goals in 31 Premier League appearances with the blue jersey and this aroused many doubts about his ability to play a key role in Chelsea's title ambitions. Nevertheless, Alvaro Morata has set his sights on winning the Premier League Golden Boot after pledging his future to Chelsea and Maurizio Sarri will give him some credit.